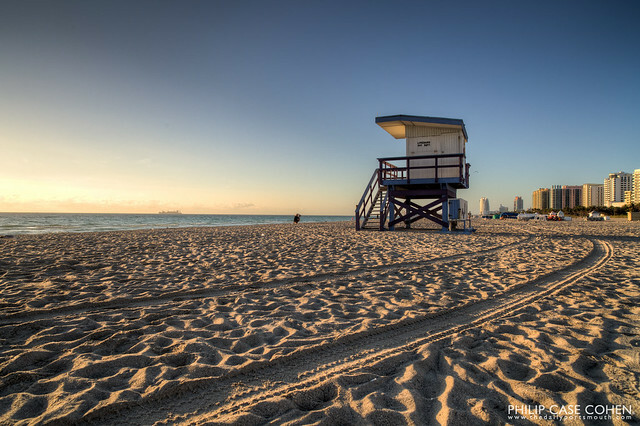 In honor of it being warm and summery somewhere on this lovely continent of North America – I’d like to feature Miami Beach and one of the lifeguard towers on South Beach. The crisp early morning light and the fresh tracks of some vehicle make for a welcoming scene. Beautiful image Phil. I wouldn’t mind being THERE rather than here today.